Fresh, bright and naturally spontaneous, the Lancome O de Lancome Eau de Toilette is a delightful citrus fragrance for cheerful women. The invigorating scent sparkles with life, full of joyful optimism and elegance. It’s a naturally beautiful fragrance, the essence of lightness and exhilaration, like a first kiss or the first days of summer. 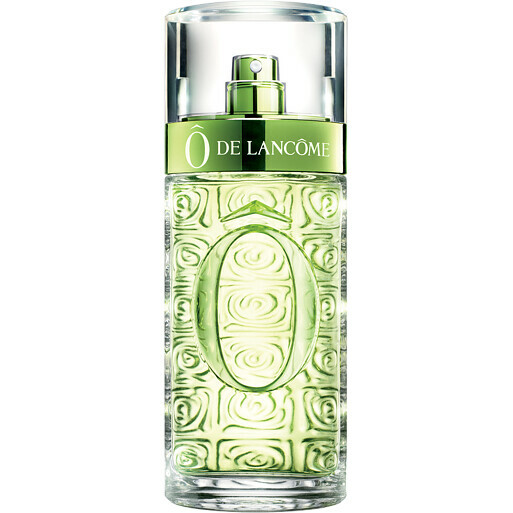 O de Lancome opens with a refreshing cocktail of lemon, mandarin and bergamot. In the heart, an aromatic and herbal accord of basil, rosemary and coriander brings energy, before a deeply woody drydown warms like the last rays of summer sun. Lancome O de Lancome Eau de Toilette Spray is rated 4.5 out of 5 by 8. Rated 5 out of 5 by Vishnoo from Perfumery masterpiece One of the most beautiful, complex, yet subtle and radiant of fragrances. Manages to bring together florals, fruit, woods, herbs and bitters in a perfect composition. Released as a female fragrance in1969 (and it’s very feminine). However, I’m male & it’s one of my favourite summer scents. I receive lots of compliments when wearing it. Depending on the summer temperature, I may reapply a few spritzes throughout the day. Unless you’re going to really douse yourself in this, I’d recommend the 75ml bottle. As I said, a masterwork. I cannot recommend it too highly. Rated 5 out of 5 by mim25 from O de Lancome Have used this for years and still my favourite. Not found anything that compares to it. All my friends & family know what to buy me. Rated 5 out of 5 by Sally67 from My favourite. I have been wearing Eau de Lancôme for as long as I can remember, it is light and citrusy just right for the summer, I do not like heavy, strong perfumes. The perfume does not last that long but maybe it's because I am so used to the fragrance.